Colton Crandell of Centennial, Colorado, is the recipient of the October 2007 ITG Young Artist Award. Colton has just completed his senior year at Arapahoe High School under the direction of Edward Cannava and has had a busy and productive high school music career. During his junior and senior high school years Colton was the principal trumpeter in The Warrior Marching Band, Wind Ensemble, Brass Ensemble, Pep Bands, Pit Orchestra, and Symphonic Orchestra. He also performed on cornet with the Dry Creek Dixie Dawgs, a traditional Jazz Combo that has won three Downbeat Awards. Highlights of his many honors include his selection to the 2006 and 2007 Colorado All State Jazz Bands and Symphonic Bands. This past year he was named principal trumpet of the Continental League Orchestra in conjunction with appointments in the University of Colorado All State Orchestra and Honor Band. Mr. Crandell has the distinction of being only one of four Arapahoe music students to have been selected for all of these groups during his high school career. As a soloist Colton has received the Superior rating at the State Solo and Ensemble Contest during all four years in high school. As a scholastic standout Colton has maintained a high grade point and received the Academic Letter for Excellence in his junior year while balancing a full schedule of activities in bands, orchestras, pep groups, study time, private lessons, and numerous weekend commitments. His senior year culminated with two prestigious awards; the Semper Fidelis Award for Musical Excellence and the Outstanding Senior Award for 2006 - 2007 at Arapahoe High School. Dr. Cannava hails Colton as "a highly dedicated young man, serious, positive, compassionate, focused, and committed to excellence in both his music and personhood. A student every teacher dreams of having in their program!" Tireless in his dedication to music and the Arapahoe High School Band Program, Colton is also recognized as a fine role model for other music students and the school at large. Colton Crandell is now in his first semester as a music performance major at The University of Colorado in Boulder in the studio of Professor Terry Sawchuck. Congratulations to Colton for this recognition as October ITG Young Artist, 2007. Best wishes to him in his future musical endeavors and continued efforts to be a role model for other young trumpeters. 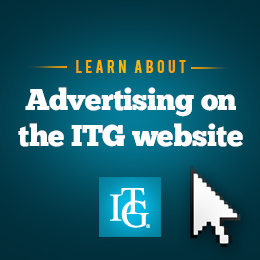 In recognition of his outstanding talent, ITG will provide Colton Crandell with a complimentary one-year membership.